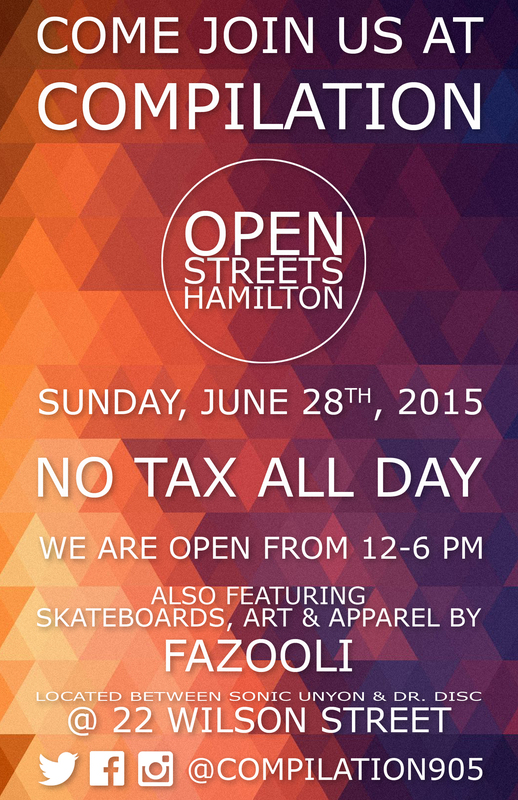 Fazooli @ Open Streets Hamilton on Sunday, June 28th! This has been a busy summer, and Sundays haven’t been super restful at all for me, as I hustle my way through the city. This Sunday coming up is no exception – I’ll be setting up in front of Compilation with my skateboards, jewelry and apparel for the Open Streets Hamilton event going on downtown. Lots of great deals offered by so many different vendors, and great food too! My prints will be half off all day long! Come down and bring the family along!